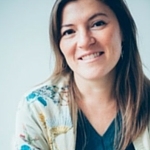 Amis Boersma is a coach, workshop facilitator and impact producer with over 10 years of experience in the field of International activism and social change. She believes people tend to keep their best features hidden – sometimes even from themselves. Often passions, talents, desires and hopes for the future get buried under the overflowing to-do lists of daily life. As a coach, workshop facilitator and event host, Amis shines a light on the things that really matter to people, helping them connect to others as their truest and fullest selves.